You will receive potted plants with well-established root systems. Unlike bare-root strawberries (most often planted in the spring), these are live, potted strawberry plants. The already-established root system enables them to take hold quickly with a minimum of care, which makes it possible for your fall-planted strawberries to survive the rigors of winter. These plants have already set next year’s strawberry buds. You can harvest strawberries next spring and summer. When you spring-plant strawberries, whether bare-root or potted plants, you will not be able to harvest until the following spring and summer. (That’s a whole year you have to wait!) In fact, harvesting strawberries the first year can reduce your harvest substantially for the following year. 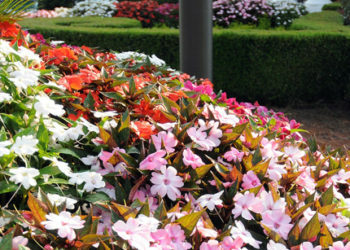 It’s best to pluck the first spring flowers and let the plant use its energy to grow roots and produce more buds. Strawberry plants set the buds that will be next year’s strawberries during the early fall months. The plants you will plant this fall are already setting next year’s strawberry buds; this means you’ll be able to harvest fresh, juicy strawberries the very next spring and summer. You will know your strawberries are artificial chemical- and pathogen-free. When you buy strawberries in the grocery store, you may be putting your family at risk. Strawberries are often imported from other countriesMexico being the most common. Regardless of where they are grown, you cannot be sure they haven’t been sprayed with pesticides or have been picked and packaged under unsanitary conditions. As they are a soft-skinned fruit, even proper washing may not be entirely effective. Planting your own is the only way to know for sure. Your strawberry patch will come back year after year. Strawberries are perennial, even in areas with cold and snowy winters. If your temperatures get below freezing, simply cut your strawberry plants back to the ground in the fall and cover them with a few inches of straw. This will protect the roots and keep the plants from â€˜heaving’ as the soil thaws and freezes. Then, as you start to see new shoots in the spring, simply push the straw off the plants, leaving it between them, which helps to retain moisture and keep weeds at bay. You will save money over the ever-rising cost of grocery store strawberries. The costs of all foods continue to rise. Even in a good year, with the climate just right and bumper crops of produce, inflation ensures you will be spending more next year than you did this year, in perpetuity. By the same token, growing your own perennial strawberry patch will ensure the cost will go down. And, not only will the cost per pound of strawberries decline over time, but the amount of care you will have to invest in your strawberry patch will decrease. Your initial outlay will be the most you will ever spend for strawberries again, both in terms of money and time. After the first year, as runners grow and become new plants, your strawberry yield will increase and weeds will decrease. 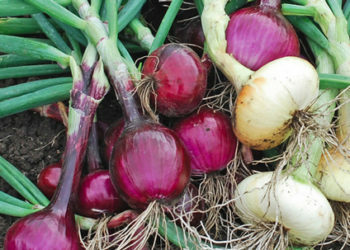 Then, as newer plants fill in, simply take out the older plants; this will provide a constant heavy yield. 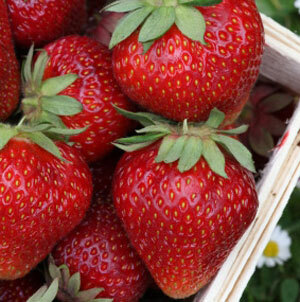 You can soak up the benefits of Vitamin D while tending and harvesting your strawberry patch. The results of studies on the benefits of Vitamin D speak for themselves; and the most common advice is to get it naturally, not from a supplement. As little as 10 minutes of sun exposure daily can provide many of the health benefits of Vitamin D. You can start with a small strawberry garden, and then expand as you become more comfortable with the process. Many of us need an excuse to get out in the sun. What better excuse than growing your own strawberries? You can spend quality outdoor time with loved ones. This may be the last reason given, but it is certainly not the least reason. In fact, it may be one of the most important. Children love to see the results of their labors and they love the attention they receive when spending time with their family members. Even the most prickly sibling rivalries can be put to rest in the strawberry patch. Don’t have children? That’s okay. Take some quiet time solo or with a partner, and pick out errant grass, count the number of strawberries, or harvest, prepare and/or preserve your strawberries. A strawberry patch can be a solitary or group endeavor with the same benefits to be had by all. Have you been thinking about planting your own little piece of strawberry heaven? Which Strawberry plants are the best for long term production in my area? Must June bearing varieties will do just fine in your area. 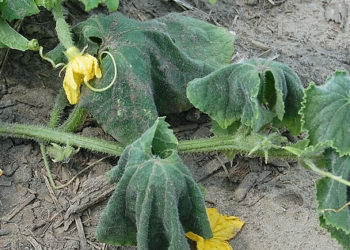 However, you will only get 3-5 years per plant as the product starts dropping the old the plants get.